A beautiful example of the Swan 77, La Forza represents the ultimate in luxury. Her 20 foot beam creates massive interior volume well-used in the spacious salon and master suite with a walk-around queen, two settees and very large bath. Two en suite guest cabins offer one lower double and one pullman each. La Forza is a beautiful example of the elegance of the Swan 77. 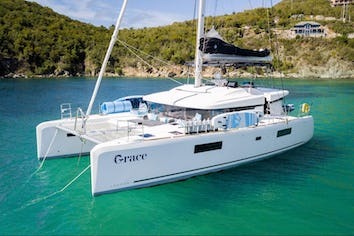 She represents the ultimate in luxury with a full body and massive interior volume that provides accommodations normally found on larger vessels. Simon is an accomplished chef with a strong combination of culinary experience on land and diverse menu preparation while under way and offshore. He views food preparation as an art with immediate gratification, and he truly enjoys the challenges of preparing a wide range of cultural dishes from around the world. His preference are the tastes of the Mediterranean, but also traditional American, Tia, Indian, French, West Indies Soul Food, Creole, Cajun. "Jenny and I really loved our time on La Forza as it was everything we expected and more. The boat was a true sailboat, and allowed us to really get out and sail in nice wind, and feel the spray as we crashed through the waves. It was exciting! Leah and Nick had immense pride in the boat and took great care of it: Everything was spotless and in good repair. The whole crew was terrific. Nick, Leah and Star did a great job, and were very professional and made every effort to give us the experience that we were seeking. The food was tremendous. Almost too good! Leah kept bringing us treat after treat, and the variety and taste of the food was wonderful. She presented it beautifully, and it was like being at a high-end restaurant all day long. The food was also healthy and wholesome, with delicious salads and vegetables, as well as scrumptious desserts after each meal. I must say, I think we both gained a few pounds! Nick is an able and skilled captain, who literally knows every square inch of the boat. 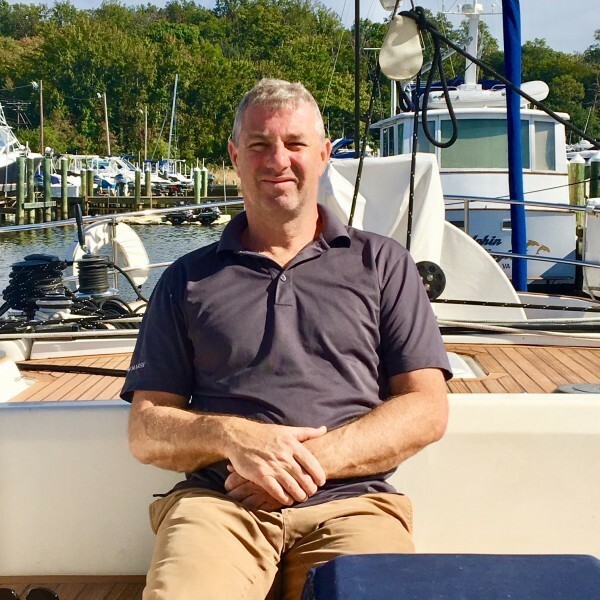 He has personally maintained the boat, and every piece of equipment on it, and it shows in the pride he has for the boat and his job as the captain. We enjoyed talking with Nick and learning of his many travels and experiences on the boat. The whole crew did a fantastic job balancing our privacy with their hospitality: not an easy feat to do this in such confined quarters. Every mealtime was private, but yet we never had that uncomfortable feeling that they were trying to avoid us. It was really so easy and comfortable to be around them. Actually, they felt like friends as we left, and we were sad to say goodbye. We hope to stay in contact with them. 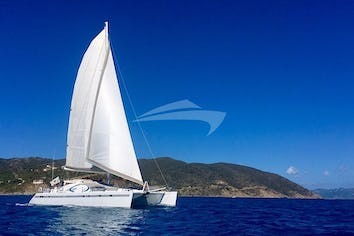 We would be eager to recommend this crew and boat to anyone, and we welcome your further questions." "We had a great time. Captain Nick and crew were wonderful, professional and fun. The food and drinks were unbelievable! We enjoyed sailing, snorkeling, diving and relaxing. La Forza is in great shape, as pictured. One day we went into the ocean past Bitter End and came back. It was fun watching how the boat performed." 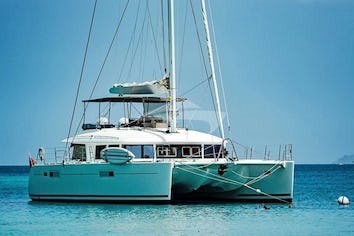 I was pleased to hear how much (my client) and her guests enjoyed their cruise on board La Forza. They were very impressed by this beautiful Swan and her sailing performance. They were also very impressed by your experience and professionalism and how you did everything to please them in finding the right spots and organizing everything with such kindness.